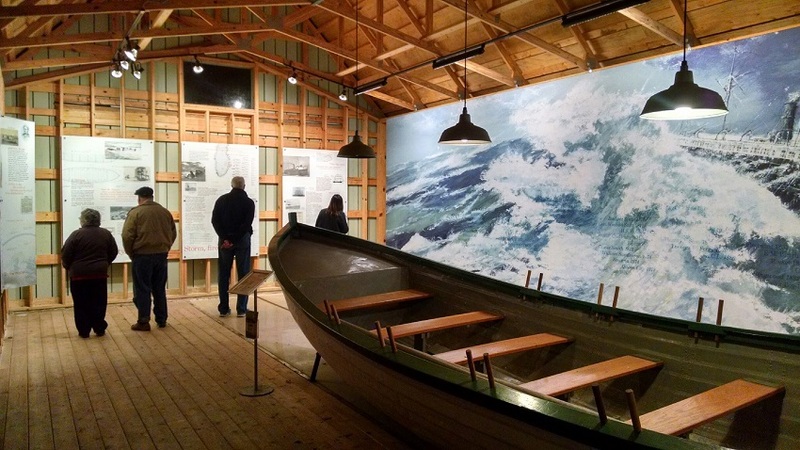 Discover the adventures, profits and dangers of Lake Michigan schooner and steamship travel with a visit to the Boathouse exhibition "Rowing Them Safely Home—Shipwrecks and Lifesaving on Lake Michigan." The boathouse structure, designed by architect Nic Wilkens, is a contemporary reference to the old Lake Michigan lifesaving stations, and acts as a gathering place for garden visitors. Featured here is the restored 1854 Francis Metallic Surfboat—one of America's earliest lifesaving vessels, surrounded by an immersive exhibit on Great Lakes shipping and shipwrecks. Rowing Them Safely Home was funded in part by 2012 Museums for America Grant. Thanks to documentation work undertaken by History Center volunteers, the Francis Metallic Surfboat is listed as a Michigan Historical Site and on the National Register of Historic Places. See more photos of the Rowing Them Safely Home exhibit and design. 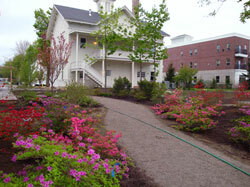 Publicly initiated in the summer of 2010, the garden project is gradually converting the 1.16-acre schoolhouse grounds into a walk-through, living classroom weaving historical, cultural and ecological stories together to exemplify our area's heritage. 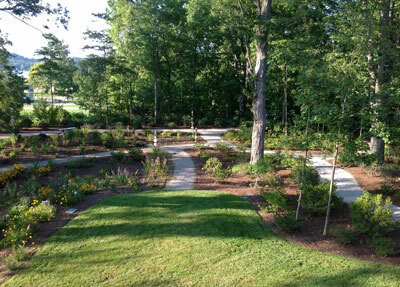 A series of thematic learning stations explore various facets of our area's history, featuring a peach orchard, a wildflower & rain garden, children's garden and schoolyard games, and a rhododendron garden, among others.